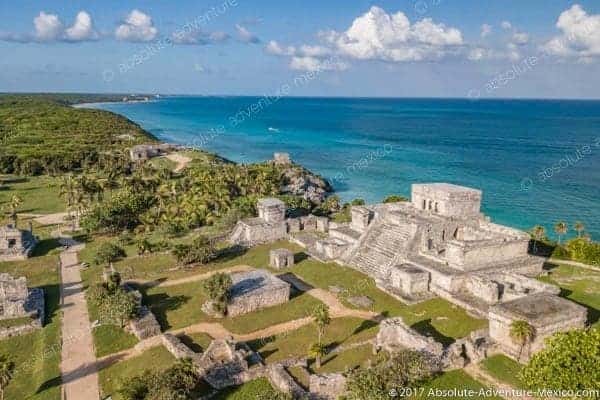 PRIVATE TOUR: Enjoy a private guided tour of Tulum ruins, followed by a swim in a cenote of your choice and a delicious lunch at a Mayan restaurant in the jungle. 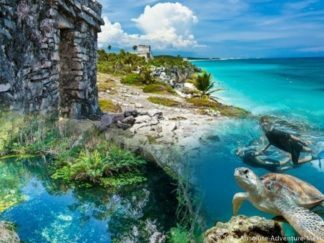 When it comes to the Riviera Maya, there are two things every visitor simply must do: visit one of the area’s impressive Mayan archaeological sites and take advantage of its breathtaking natural beauty. 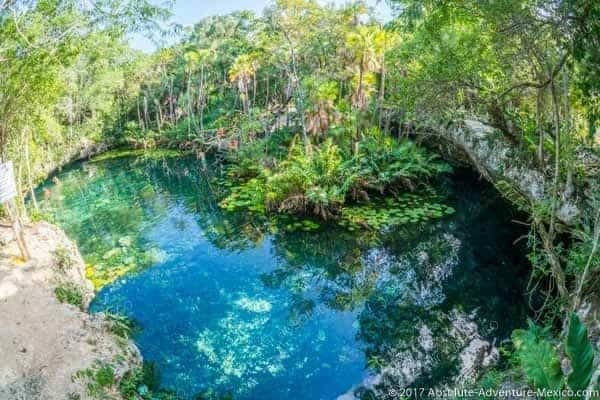 With our Tulum Cenote Tour, you’ll be able to check both things off of your list in a single day, and you’ll enjoy them even more because our private tours allow you to avoid the crowds in order to have a much more personal experience. 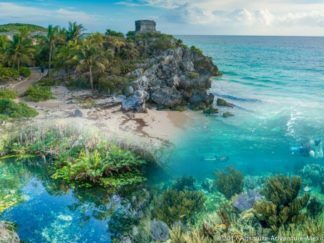 Our private guided Tulum Cenote tour starts with a visit to the Mayan ruins of Tulum, one of the most important Mayan archaeological sites in existence. It was primarily used as a trading hub, where everything from precious stones to chocolate and textiles were traded. Due to its prime coastal location, it also offers some of the world’s finest views of the Caribbean Sea. 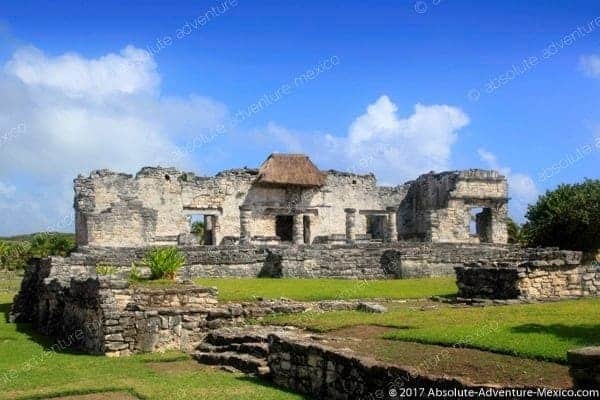 As you explore the ruins, your guide will point out highlights like the main temple and the impressive Temple of the Frescoes, where you can see ancient Mayan artwork. Our next stop is one of the Yucatán Peninsula’s famous cenotes, underground caves that formed from rainwater eroding limestone for centuries. One of the best ways to enjoy the natural beauty of the Riviera Maya is to go snorkeling in cenote in their crystal clear waters. It’s a fun, relaxing activity that is perfect for everybody since there are no waves/current to contend with. We also provide all the equipment you need, with a professional guide to show you around! 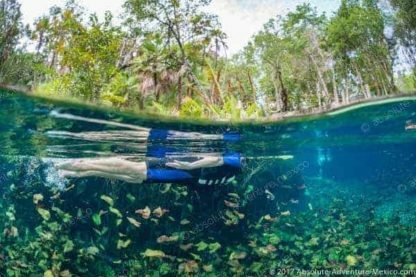 Best of all, the cool, refreshing water is one of the best and most beautiful ways to escape the constant heat for a while. 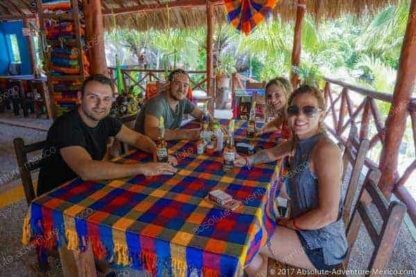 After you’ve fully explored the cenote, we’ll end the tour by stopping at a local restaurant in the jungle where you can enjoy a delicious traditional meal. Great for all ages and good value. From the efficiency of the transfer and pleasant informative points offered by the guide even the drive to this activity is enjoyable. I was traveling with a 15 people group. We were picked up in 2 comfortable vans and drove to Tulum early which was amazing because there were literally about 20 people there total. 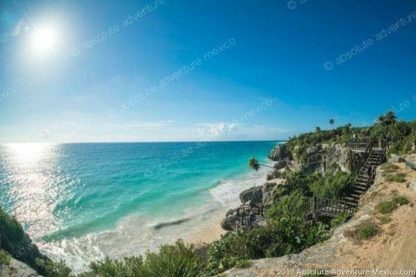 I have been to Tulum before on an afternoon tour and it was so crowded that we could barely take pictures. Tulum was incredible and Chris gave our group so much knowledge and took tons of group pictures for us. 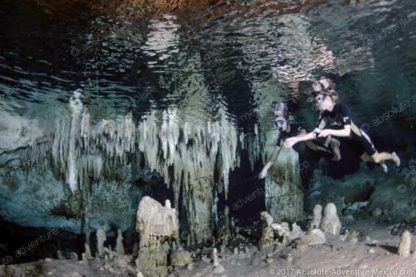 Finally we headed to the cenote (all snorkel gear was included). Most of our group was having a great time but my son was panicking so Chris helped him. We went back to the hotel, we were all very exhausted and I cannot imagine renting a car. 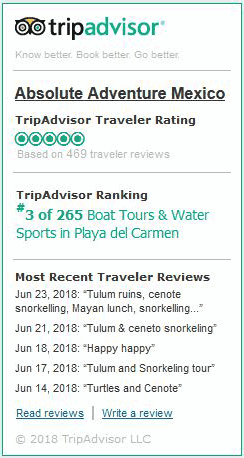 I would highly recommend this company to anyone looking for a tour in the riviera maya area! We recently took this tour and I have to say it was worth every penny. 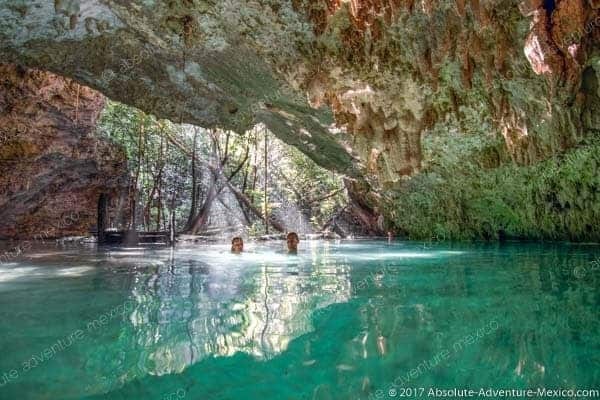 It is an early start (pick up 6:30am from our hotel in Puerto Morelos) but that was one of the reasons I booked this tour so that we could avoid the masses arriving at the beauty spots later in the day. They provide you with lunch and drinks all day. The guide and the driver were friendly and welcoming, our guide constantly offered to take photos of us which was nice. 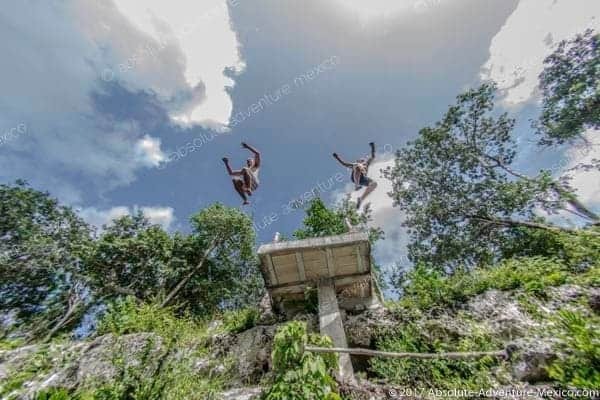 Visiting Tulum and a cenote with Absolute Adventure felt like being a special guest. 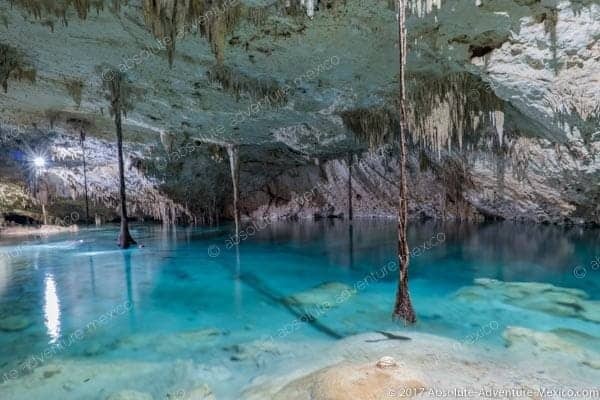 Not only we had a guide, a driver, a van for ourselves but we also enjoyed Mayan ruins and cenote before everyone else. Excellent organization and service, safety was on point. We didn’t have to pay anything during our tour, the snorkeling gear, drinks and lunch were included. We had an amazing moment, glad we booked this tour with Absolute Adventure! The Absolute Adventure team did a great job on the day. 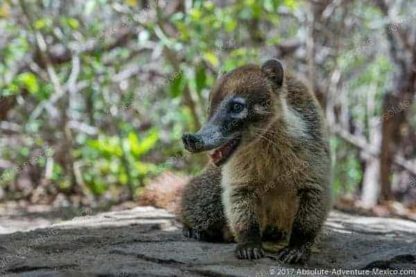 Our guide was very personable, the trip was well organized, everything went exactly as described and as we had planned. I am really happy that I selected Absolute to help us experience the Tulum area. Claire was an amazing guide for my wife and I on our vacation away from kids. Private tour of Tulum ruins was exquisite and a must experience to avoid the crowds and heat! Swimming in caves is an experience not to be missed, followed by an authentic local Mayan lunch. 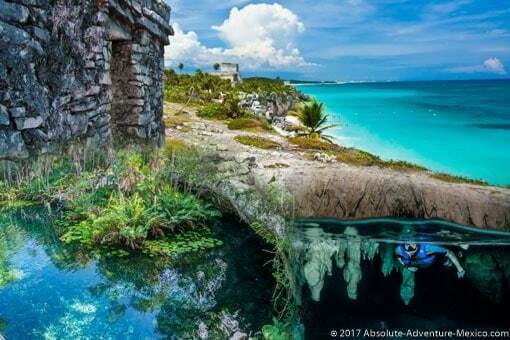 Would highly recommend Absolute Adventure to any friends, family or fellow travelers. We will book again with Absolute Adventure for the personalized experience and authentic tour. The outstanding professionalism started with the booking process. Clair and Chris were wonderful to work with and were willing to answer any question we had during the booking process. 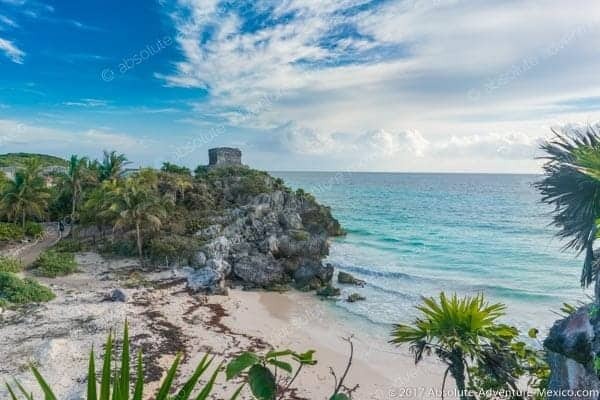 Our trip to Tulum was amazing, we were the first group to enter, which in itself was priceless. 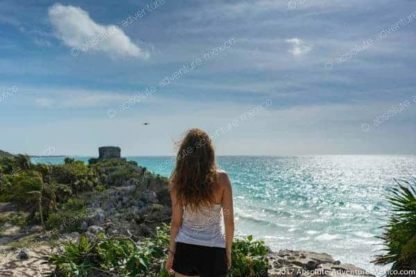 We were able to truly take the experience Tulum without being crowded by other tourist. The authentic Mexican meal that we had was outstanding. We were also very impressed how willing they both were to work with us the week of our vacation and accommodating our trip around the weather so that we got the most out of our trip. Athuro did an amazing job guiding us in Tulum and Tak Be Ha cenote! He was knowledgable and passionate about sharing his culture with us. Waking up early was 100% worth it. 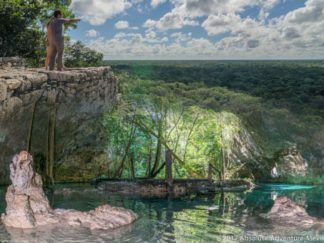 We got ruins and cenote for ourselves. We had such a great family moment, away from the crowds. Would definitly recommend this tour to families ! They made sure we had the best time! the guide that rowed us was amazing and super funny. He took care of us and also made sure we were safe in the cave. I can’t describe enough what an amazing time we had. 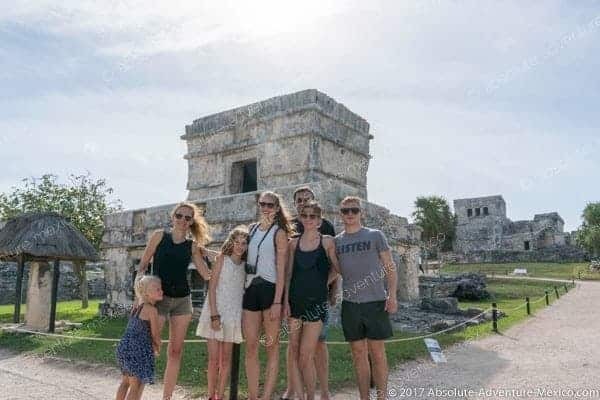 I recently traveled to Riviera Maya with my family of 4 as well as my brother’s family of 4. One of the highlights of our trip was our day spent touring Tulum and snorkeling in a cenote. We had children ranging from 6-13 and all had a wonderful day. Chris, our guide, was fun, knowledgeable, and always working to ensure everyone was enjoying themselves. Our lunch in the jungle was wonderful too! 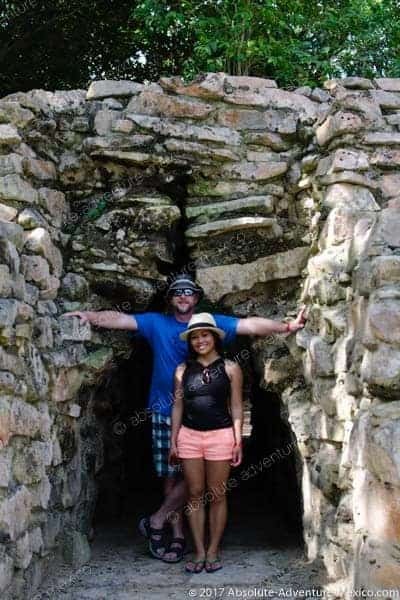 This tour was absolutely amazing and my favorite while visiting Playa del carmen Our guide Juan was very informative. We were alone at the Cenyote. Loved this tour and would do it again! Water was beautiful and amazing. Tour van was air conditioned with drinks in the cooler! We got pics by email after the tour. So happy we booked with Absolute Adventure and not some other of the hotel. 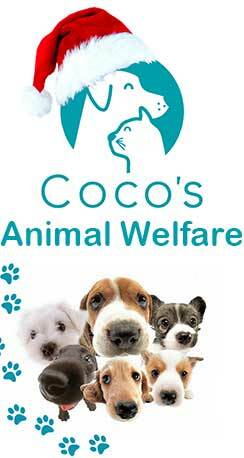 This is a small business where they give great service and attention to detail to their guests. Excellent service and safety shown throughout the day. Lovely lunch in the jungle. Private tour makes it even more special. Our guide was timely, knowledgable and passionate about his work. Although this tour starts quite early it is WELL worth it. 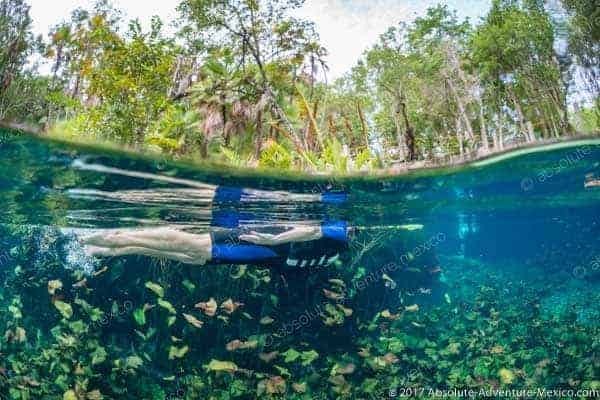 They are treating guests to a unique experience to be away from the crowds. I highly recommend this tour. 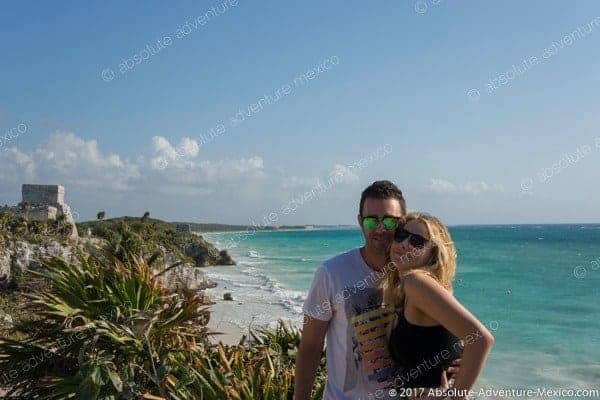 The Tulum and cenote tour was definitely one of the best moment of our holidays in Mexico. We chose a private to avoid waiting for other guests and move at our own pace. Claire explained us everything about the Mayan ruins and history, and made sure we were having a good time snorkeling. 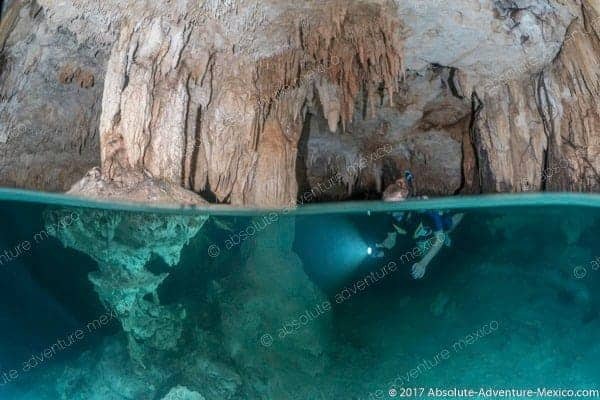 I can’t recommend Absolute Adventure enough!